Rusty Rivets Lab Playset Just $5.99! Down From $40! Shipped! 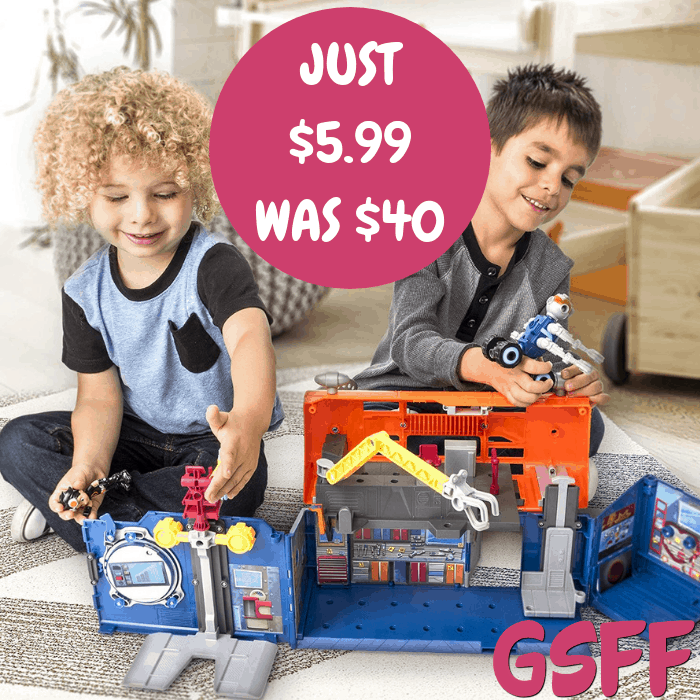 You are here: Home / Great Deals / Amazon Deals / Rusty Rivets Lab Playset Just $5.99! Down From $40! Shipped! Amazon has this Rusty Rivets Lab Playset on sale for just $5.99 down from $39.99 PLUS FREE shipping! If you can dream it, you can build it with Rusty Rivets! Now you can create Rusty’s Headquarters and start building with Rusty! This transforming playset features real lights and sounds from the show, and even closes for easy transport and storage. The Rusty Rivets Build Me Rivet System allows kids to design, build, and create just like their favorite characters. Collect all of the Build Me Rivet Systems sets to build all of Rusty’s creations from the show. Combine it and design it with Rusty Rivets!